Congratulations! All the time and energy you put into your job hunt finally paid off. One job offer came today and you expect another by the end of the week. While you're grateful and relieved, the transition isn't exactly over. Now you need to make the important decision: which, if either, job offer should you accept? The decision if often more difficult than face value might suggest. What if you make a poor choice? Accepting the wrong job could mean you've not only wasted time and energy, but you'll be back job hunting within a short time. What should you consider? To increase the likelihood of making a sound decision, it's critical that you evaluate each offer against personal criteria. Below is a list of some possible factors to consider. Regardless of any other factors, if you're not enjoying your day-to-day tasks and challenges, the job will not be fulfilling. To determine whether the job is likely to be satisfying for the long-term, start with a personal assessment. Then, compare what you want to what's being offered. Here are some questions to ponder. (1) What skills do I have that I want to use as a core part of my work? Will this job utilize them at the level I enjoy? Read through the job description if there is one. If available, talk to the person who currently or most recently held the position. Determine what you would be doing on a typical day and in a normal week. Identify specific project priorities and expectations regarding accomplishments. Ask yourself if you have a true interest in working in those areas and toward those goals. (2) Where does this job fit in the organizational chart? How does executive management view this position? Determining how important this job is can help you assess whether the expressed goals and objectives seem achievable. 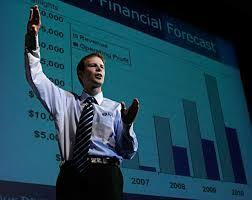 It also can provide insight into potential advancement opportunities. (3) What is your supervisor's personality and management style? Personality conflicts are a major reason people ultimately leave their jobs. Make sure to talk with the person you will directly report to prior to accepting the position. Ask others you come in contact with, including secretaries, about the person's management style. (4) What is the corporate culture like? What hours do most people work? Do they seem friendly and cooperative or high-stressed and competitive? How much do they communicate with each other? To what extent does turnover exist at your level? (1) Do you believe morally in the nature of the business? Why put your best efforts toward an end-goal you don't accept or believe important? In the long-run, you'll be happier and more satisfied if you enthusiastically support the reason the company exists. (2) What is the organization's financial status, age, and size? Relatively new companies with few employees are likely to offer a larger range of responsibility, closer working relationships with top management, greater potential to contribute directly to the bottom line, and advancement if and when the company grows. However, larger companies have estabished career paths, more levels through which you might advance, a sense of affiliation created by working for an established name, and greater opporutnities to generate mentor relationships with people already established in the heirarchy. With larger companies, you also need to consider where the organization's headquarters and branches are located. If you're not working at headquarters, will future advancement require relocation? (3) Is the company private or public? Public companies are controlled by a Board of Directors who answer to stockholders. In private companies, the business is often controlled by an individual, a partnership, or even a family. In private companies, especially those which are operated by a family, key positions are often targeted for relatives or close friends. (4) What is the industry's future projections? Is there a business cycle? Obviously, employment risks increase when joining a company in an industry which is downsizing or becoming obsolete. While there's no guarantee that joining a company in a growth industry will secure your job, it does mean that your skills are more likely to be kept up to date. It also suggests that you'll be able to market your skills elsewhere in the industry, if the need arises. (5) Where geographically will you be working? If it's in the same city in which you currently reside, how will you commute? What will it cost in terms of time, money and stress? If relocation is required, what is the cost of living, housing availability, mass transit options, and quality of life in the new area? If you have children, how would uprooting them at this point impact their lives? How do the schools rate in the new area? (1) Does the position offer opportunities to develop skills, land greater responsibiltiies, and increase earnings? Over what period of time? What has been the history of people holding this poisition in the past? Is there a formal training and development program? Is reimbursement offered for outside education and/or job-related courses? (2) What salary and benefits do you have to negotiate? Fundamental negotiation skills require that you wait for the company to broach this subject. Until they do, you have no bargaining power. Make sure to do your homework prior to discussing salary. Find out the salary range for similar positions in the same geographical area. If there are comparable positions in government, salary levels are a matter of public record and readily available. Go to professional associations and ask about any recent salary surveys they might have conducted. Contact an executive recruiter in the area who specializes in your field. If you're recently out of college, your college planning and placement center may be able to provide some insight. Consider the value of benefits offered (health insurance, life insurance, pension plan, paid vacations, holidays, sick leave, etc.) and likely promotional opportunities. Then, weigh each offer against what you want and need. Job hunting requires time, energy and effort. For most people, it's a difficult process. While there's often joy in being offered a position and accepting it, little creates more discouragement and stress than realizing shortly thereafter that you've made a mistake. 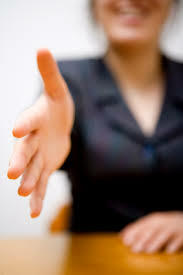 Most employers don't expect you to accept or reject an offer on the spot. They realize that a good match serves them as well as it serves you. Therefore, when an offer is made, evaluate it thoroughly. It's time well spent.